Mercedes Erra is Executive President of Havas Worldwide, formerly Euro RSCG Worldwide, and Founder of France’s leading advertising agency BETC. Mercedes is an Officier of the Légion d’Honneur, she is also a recipient of the French National Order of Merit. She has five children. Mercedes was born in Catalonia and came to France at the age of six. Graduated from HEC and the Sorbonne (she has a bachelor’s degree and a master’s degree in Literature), Mercedes teaches a post-graduate course (Marketing and Corporate Communication) at the Paris 2 University (Assas). 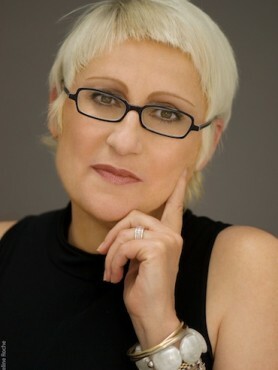 She is a noted advisor on subjects related to consumer issues and on all subjects related to brand strategy. Mercedes is a branding expert: She builds and manages global brands. As a result, she created two divisions focusing on consumer and brand expertise: BETC Consulting and BETC Consumer Intelligence. She has contributed to brands’ major strategic shifts (health for Danone, youth for Evian, Air France vision – making the sky the best place on earth). BETC, the agency network that she has been managing since 1995, was named « second most creative agency in the world » by The Gunn Report in January 2011 and “best creative agency” in France by CB News in 2010, for the 13th time in 16 years. BETC was also the most awarded French agency at Cannes Lions in 2010. Mercedes is personally committed to the Elle Foundation and the Women’s Forum for the Economy and Society, of which she is a founding member. She is also a member of Human Rights Watch French Committee and a permanent member of the Commission Innovation 2030. In January 2010, Mercedes was appointed president of the board of the Musée de l’Histoire de l’Immigration located in Paris. In 2011, she was also appointed to the Board of Directors of Havas, Accor, France Télévisions and la Société de la Tour Eiffel in 2011.